When did the Baby Boom begin? When did it end? Decide for yourself. Here's a list showing the number of babies born each year from 1940 to 1994. (numbers are rounded off to the nearest thousand). 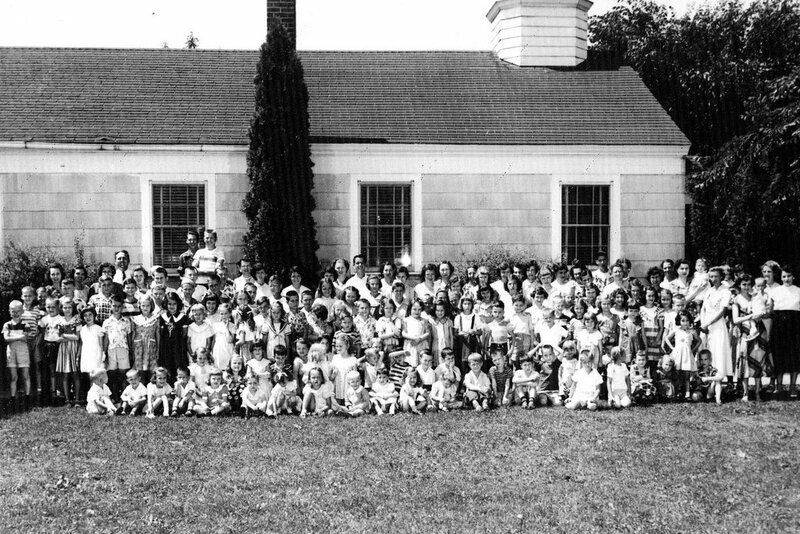 The baby boom in the picture is the Bethel Presbyterian Church Vacation Bible School circa 1953. I'm in there somewhere. In my tribute to Janette Carter, who died over the weekend, I spelled her first name "Janette." That's the way I've always spelled it when I've written about the Carter Family . In the front page story about her death, it was spelled that same way. But in the obituaries, it was "Jeanette." Kevin Castle solved the mystery of the dueling spellings in his Tuesday story "Daughter says Carter Family's music will live on." (Her daughter Rita) Forrester noted that although "Jeanette" was the name that A.P. and Sara gave her and is recorded on her birth certificate, she usually signed her name as Janette. 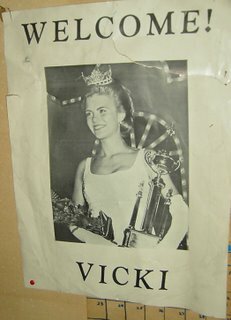 The closest Kingsport has come to having a Miss America was in 1967 when Vicki Lynn Hurd (D-B '64) finished as second runner-up. Jane Anne Jayroe, Miss Oklahoma was the winner; Charlene Diane Dallas, Miss California, was first runner-up. Two years later Kingsport was back near the winner's circle with Brenda Seal (D-B '66), who made the top ten and got to perform her talent on national television. That's our two close but no cigar moments. When Vicki Hurd came home to Kingsport following the pageant, people lined the streets to greet her. My mother saved the poster they passed out for people to hold up. 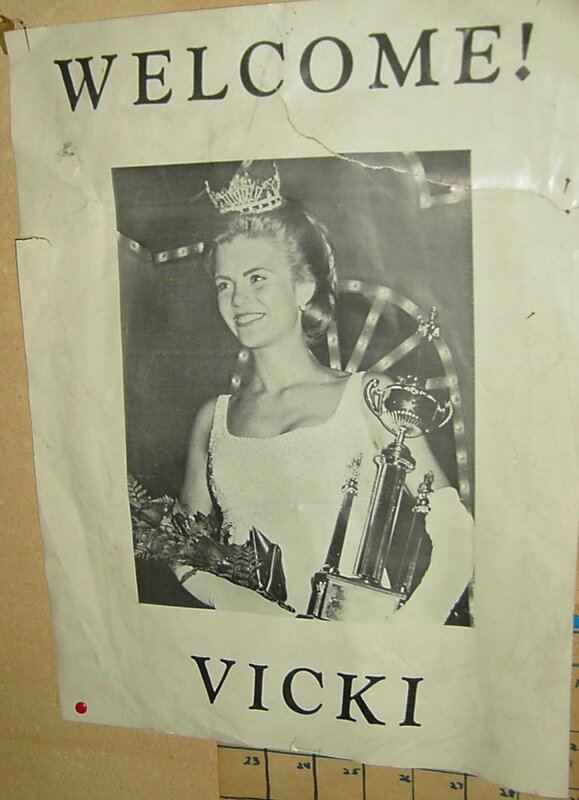 Vicki Hurd was not Miss Kingsport when she was second runner-up to Miss America. She was Miss Carter County. Nor was Brenda Seal Miss Kingsport when she finished as a semi-finalist. She was Miss ETSU. Both had been Miss Kingsport but neither won the state pageant as Miss Kingsport. Here is a real curiosity: Miss Kingsport has never won Miss Tennessee. But she has finished as first runner up three times, all in a four year span! In 1965 it was Hurd who was Miss Kingsport and first runner up to Miss Tennessee. In 1967 it was Seal and in 1968 it was Janice Sproles. Both Hurd and Seal returned the next year to win the Miss Tennessee crown representing another community. When Joe Carter died last year, it was big news. But Janette Carter's death is the end of an era. It was Janette who was the keeper of the family flame. She started the Saturday night musicfests at the tiny store, nurtured the event into its current status as a regional draw. It's been about a year since I talked to her. I was doing a story on her aunt Maybelle's guitar, which was being sold. I was trying to figure out where in Kingsport the legendary instrument was purchased. I never did nail it down. It was before Joseph's Musicenter. It might have been Price's Piano Store in Five Points. Or it could have been Sears or one of several pawn shops on Main. Above is one of my many Carter Family records. That's the oldest 78 that I own. 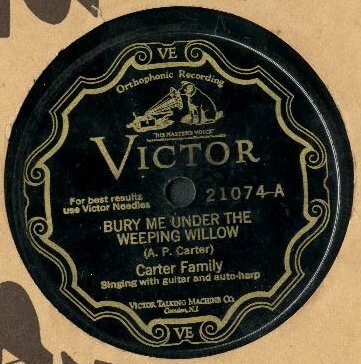 The Carters recorded this at the famous Bristol Sessions in 1927. I thought the title was appropriate. Because “TV’s Lost Shows Collection” has 38 episodes from 19 shows you might assume, since the math is easy, that there are two episodes from each show. And you would assume wrong. There are three episodes from some shows, two from some, only one from others. There is no pattern to the choices of shows. There are sitcoms and detective shows, westerns and children’s shows. Some of the shows date to the early fifties while a couple - “Mannix” and “Petticoat Junction” - aired into the seventies. There’s not even a pattern to the order on the discs. There’s not a westerns disc or a kiddie disc. Just five discs. Yes, the episodes are grouped by show but within that grouping you may get the older episode first or the newer one first, for no discernible reason. Take “You Bet Your Life,” the old Groucho Marx quiz show. The first episode on the disc is from May12, 1955, he second from Feb. 18, 1954. So that’s my main problem with this set, the complete and total randomness. It’s just a bunch of old shows. I like some intelligent design with my boxed sets. Shows from the fifties or shows from the sixties. Maybe the two best episodes from “Peter Gunn.” Or two episodes of “The Danny Thomas Show” that feature Hans Conreid as Uncle Tonoose. I’d even settle for a little nostalgic consideration. I was a big fan of “Fury” when I was a kid. It ran on NBC every Saturday morning. I remember the show’s opening: Fury, a beautiful black stallion, rearing up, and the announcer intoning, “Fury, the story of a horse, and the boy who loved him.” But that’s not the opening on the two episodes in this set. Both these episodes are from the first season and the opening is used to tell the story of how Fury and Joey came to be friends. Most of the shows are sharp and clear if not exactly crisp. The third “Robin Hood” episode is watchable but dim, which is a shame because it’s the only one of the three that includes the introductory announcement for sponsor Wildroot Crème Oil hair tonic. But it does include that great theme song. This version of Robin Hood aired on CBS from 1955 till 1958. In 1955 “Walt Disney Presents” showed its own version of the Robin Hood legend, “The Story of Robin Hood” in two parts (November 2 and 9, 1955). As a kid I liked the CBS version better, perhaps because it ran every Monday night. I can’t even remember the theme song from the Disney version, rare for a Disney show. 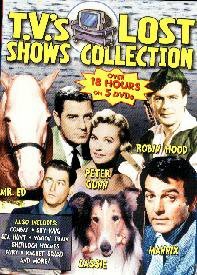 The shows in “TV’s Lost Shows Collection” are “Lassie” (2 episodes), “Life of Riley” (2), “You Bet Your Life” (2), “I Married Joan” (2), “Mannix” (3), “Burke's Law” (1), “Dragnet” (2), “Fury” (2), “Cisco Kid” (2), “Peter Gunn” (2), “Danny Thomas Show” (2), “Alfred Hitchcock Presents” (2), “Medic” (2), “Checkmate” (1), “Petticoat Junction” (2), “Robin Hood” (3), “Sherlock Holmes” (2), “Sky King” (2) and “Racket Squad” (2). Swamp Fox, Swamp Fox, tail on his hat. Nobody knows where the Swamp Fox at. Disney has released three episodes from Swamp Fox in a “Walt Disney Treasures Limited Edition” that also includes three episodes of “Elfego Baca.” (Another great theme: “And the legend is that, like El Gato the cat, nine lives has Elfego Baca.”).I’m normally a big fan of the “Walt Disney Treasures” DVD series but this one seems like it wasn’t well thought out. Why three episodes from the 10-episode "The Nine Lives of Elfego Baca" with three of eight "Swamp Fox" shows? 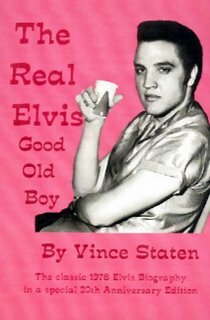 Kenny Stallard emailed asking what songs Elvis sang during his 1955 show at the Civic Auditorium. If you’re interested in buying a copy of my book, it is available at Up Against the Wall Gallery on Market Street for $24.95. Or you can order it directly from me. Just email me at this address. 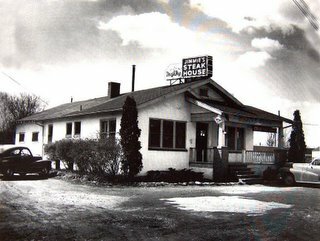 Jimmie's Steak House was located at the intersection of Miller Street and what was then known as Bristol Highway. Today it's Memorial Boulevard. It's where Elvis and a group of local teenagers gathered after his 1955 show to eat club sandwiches and flirt. This is the ad from the September 21, 1955 edition of the Times News advertising Elvis' appearance the next night. I was surprised that the show was advertised as a Grand Ole Opry Show even though Elvis was not a member of the Opry. I was also surprised that the show's headliner, Cowboy Copas, was given such small billing. It probably indicates that local promoter Dia Bahakel of WKIN knew who would draw the most fans in Kingsport: Elvis and the Louvin Brothers. Also the price in the ad is $1.25 per person. When I interviewed Dia back in 1976, she recalled it as $1. Photos from that show have never turned up. The Times News didn't cover it so there weren't any newspaper shots. I keep hoping that someday someone will find an old snapshot in a family album. This is the publicity photo he was selling after the show for fifty cents. 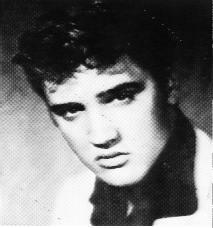 This one is courtesy of Billie Mae Smith who was Elvis' date. They went to Jimmie's Steakhouse on Memorial Blvd., where Miller Street intersects, for pizza.